Not long ago, leaving the pool after a roll session, with my kayak on my shoulder, I stopped to talk with an older lady in the parking lot. Seeing my kayak piqued her curiosity and she peppered me with questions about my life. After a few answers, she asked if I had always been a tomboy. The directness of her question took me by surprise- a tomboy! I thought, hadn’t she noticed my dangling earrings, fitted shirt and skinny jeans? I laughed, then retorted, that in my opinion, the fact that I enjoy spending time outdoors, doesn’t necessarily delineate me as a tomboy. Actually, I grew up in a family who all deeply valued time with the television turned off and the outdoors amplified - a valued lesson for which I consider myself lucky. At an early age my mother taught me to appreciate the natural world that surrounded me. My first backpacking trip was taken in the Mt. Baker Wilderness when I was eight. Mother’s Day was often celebrated with a hike; Father’s Day was spent fishing. Just after my ninth birthday, to celebrate the start of our lives together, my mom and stepdad packed my kitten and I onto the sailboat and we set off. We spent the summer exploring the intricate network of coves and bays of the San Juan Islands, then continued north into the inside passage. If it hadn’t already been established, my affinity toward a natural setting was solidified during this summer sailing trip. Within the small confines of our 25-foot Ericson, there wasn’t much else to do but sit and observe my surroundings: sea otters opening shells, sharing the internal prizes with their young and pods of orca whales breaking the still surface water with their large dorsal fins. I silently watched Pacific Loons, Murrelets and Murres bobbing on the open water before warily diving under to escape my eyes. I gazed at waterfalls spilling down from ridges saturated with hues of blues and greens. I lived my days by the constant flux of tides leaving and filling the seemingly infinite number of small bays and coves that make up the islands within the Puget Sound. Years later, my occupation is outdoors. I still sit and observe the movements of the birds. More than anything, I enjoy slipping into my boots and hitting a trail. I still take the time to appreciate the encompassing ecosystem with multiple senses. I’m still enjoying the songs of the birds and the sounds of their wings in the air overhead, the rich and intricate layers of smells originating from the organic matter, and the sunlight casting shadows of varying hues through openings within a forest canopy. 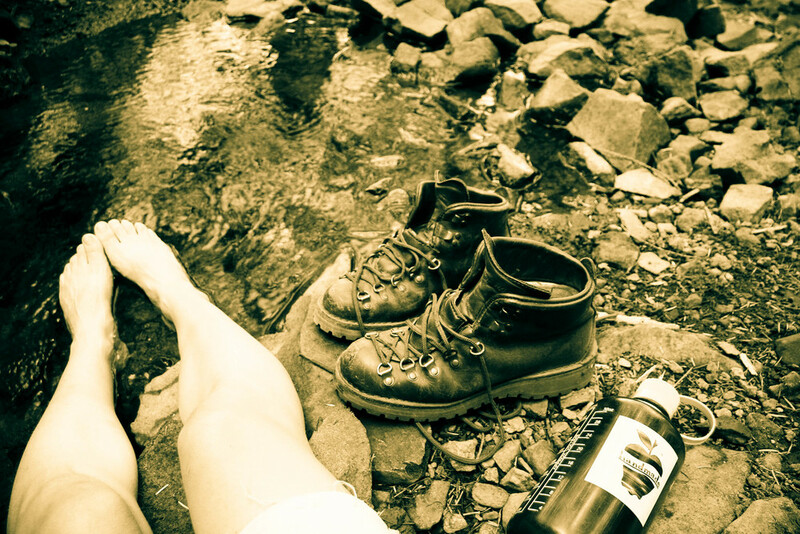 Perhaps to some, a woman’s strong affinity for the outdoors could come across as a tomboy in nature. For me, it is an admiration beyond designation. JAMIE GRANGER has worked as a Wildlife Biologist for more years than she can count on her two hands. She's an adventurer at heart and loves exploring whereever she finds herself, whether it be in a remote region of Mongolia or the mountains surrounding her farm.